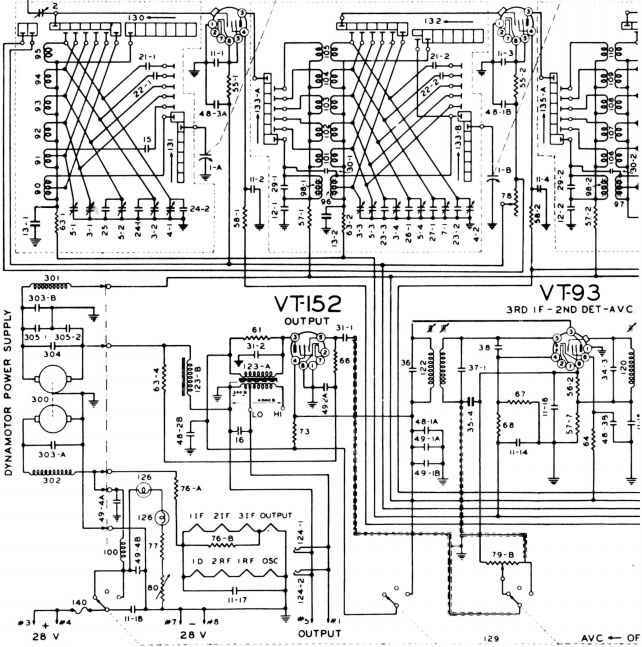 To analyze the simple radio receiver, study the schematic diagram shown on page 6. In this schematic, are gathered together all the steps just discussed. The points to be considered in the analysis are What are the essential components? What are the functions of each component? - What are the changes made in the radio waves as they pass through the receiver? The illustration shows the conventional connections of the components. It also gives a graphic representation of the wave as it passes through the receiver. When the radio wave passes or cuts across the antenna, RF voltage is induced across the antenna, and consequently across the primary of Tl. The current flow in the primary of Tl (LI) induces current flow in the secondary. The antenna transformer usually has an air core and a step-up ratio. This allows a small amount of signal gain. Part of the filter is C2, a small capacitor, usually about 250 mmf. It filters the RF component of the pulsating DC. The capacitor charges during the half cycles that the crystal conducts and discharges partially when the crystal is not conducting. In its charging and discharging, it absorbs almost all the swing of the RF pulses and follows the pattern of the modulation envelope, as the waveform shows. A headset changes current pulses to sound waves by application of the electromagnetic principle. Each receiver contains two coils, a U-shaped permanent magnet which serves as the core of the coils, and a flexible diaphragm. As current travels through the coils, a changing magnetic field is developed. The strength of this field determines how much the diaphragm is attracted. When the field strength decreases, the diaphragm pulls away. The mechanical vibrations of the diaphragm cause the sound which is the intelligence. Simple Tunable Receiver Analysis amount of current through the headset, and since the headset is a current device, there will be a maximum audio output. Actually, the tuned circuit (L2-C1) appears as a parallel circuit to the rectifier and the parallel-connected capacitor and headset, and one characteristic of a parallel circuit at resonance is that maximum voltage is developed across it. 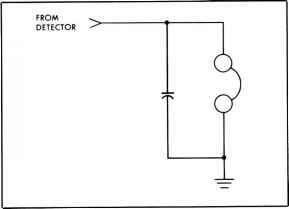 The polarity at the extremities of the transformer changes with changes in the incoming signal. When the top of the tank circuit is positive, current flows through the circuit as indicated by the solid black arrows. When the top of the tank is negative, the crystal does not conduct, and the capacitor discharges as shown by the white arrows. Thus, the waveform is rectified, and the signal is changed to a pulsating DC. Note that the pulses still bear the imprint of the modulation after filtering, but this does not affect the intelligence.